Shopping for Captain America Pint Glasses? 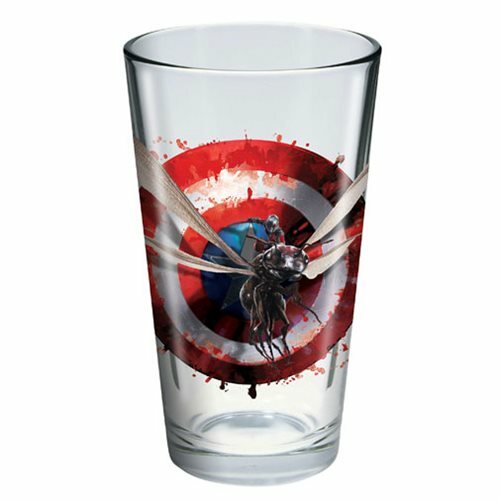 Fight your thirst with this Captain America: Civil War Ant Man Toon Tumbler Pint Glass. This colorful 16 oz. Tumbler features Scott Lang as Ant Man riding atop his trusted friend, Antony and Captain America's iconic shield in the background! Pick your side or collect the whole team from the film Captain America Civil: War today! Measures approximately 5 3/4-inches. Hand wash only. Not dishwasher safe. Do not microwave. Ages 14 and up.